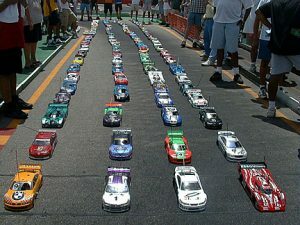 Remote control cars have been famous among toy car selections, especially for the RC hobbyists. These toys are loved by little boys, also girls and adults alike. If you are an adult who used to own an RC car when you were little, you will know how much loads of fun these tiny cars can offer. Plus, we totally think that there is no age limit when it comes to getting excited about RC cars, right? Whether you have been a fan of RC cars for long or just starting, we are here to help. So to lighten up your mind and help you, we have listed below the Best RC Cars under 100 Dollars, and help you find which one will be best for you. RC car fanatics know that it is a fact that it can be difficult to find a good one, most especially if you already have a certain budget in mind. 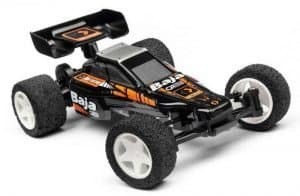 Also if you are still not comfortable on spending quite a bunch of bucks, you might think that getting an awesome RC car will not be possible, but it is truly the opposite! There are tons of affordable RC vehicles that have impressive capabilities, and we have included some on this list. 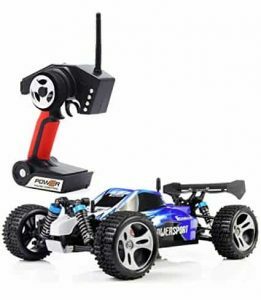 If you’re totally into remote control cars but wants to spend just a bit much, you visited the right page. We have outlined the cars that will surely be a good deal no matter what. We are here to show you that quality does not always come with a hefty price! Despite this RC car having a posh and expensive looking structure with a performance similar to a high-end one, this car still belongs to the affordable and budget-friendly category. Many hobbyists and enthusiast love its great build and all-terrain capability. This mini monster can reach speeds of up to 26 mph and is 1:12 fully proportional. Even with a very affordable price, this RC car boasts a very motor with a full suspension system. This feature makes this GPTOYS S916 run smoothly on any terrain. With very responsive steering, this RC car is super easy to handle. The top part of this RC car is able to support and carry an action camera to record driving action. This all-terrain car can also be installed with accessories such as strobing lights. The remote control that comes with this car can reach a distance of up to 60 meters. The tires which are made from sturdy PVC rubber, with foam inserts to make them completely shockproof. Another feature you will surely love is that this RC car is IPX5 waterproof. Although it cannot be fully submerged in water, it is completely water-resistant from all angles. The throttle is quite protective on rough terrain, even on snow-covered terrain during the winter. Its rechargeable Li-Ion battery is only 800mAh. One downside is that its battery is not that powerful and big. It gives only about 10 to 15 minutes of playing time with a recharging time of 150 minutes. Tamiya has been known to produce good quality assembly cars and RC cars. This Japanese brand designs cheap but very high-quality and good performing toy cars. Talking about durability, there is no question about the Grasshopper RC car. 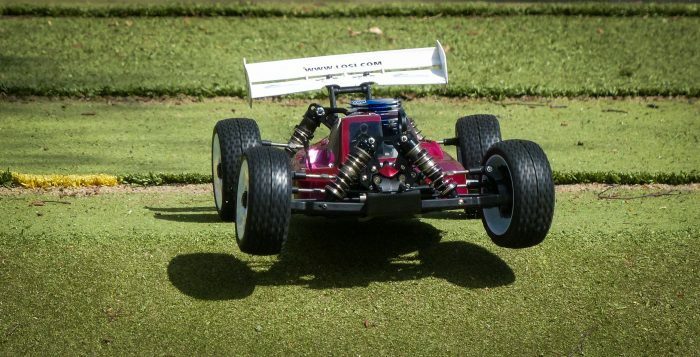 Many RC enthusiasts love the look of this Tamiya car. It sports a very hip and cool appearance that kind of looks like a futuristic racing kart. This RC car has been based on one-seater buggies boasting easy assembly and easy control. The Grasshopper with a 380 type motor is super lightweight and durable. It is also compatible with a whole range of option parts such as 540 motor and ball bearings. This one is a great entry level car that could keep up with the users driving experience. The 2WD RWD Grasshopper is best used off-road with a range of up to three hundred feet. This range can be easily kept even when driving up and down. Many users, even beginners love how this is easy to assemble. This RC car kit is also featured in the previous article on RC car kits. This Tamiya Grasshopper is expertly tried for safety and strength. It is very easy and fun to put together. However, you may need to purchase additional items and the battery and charger are purchased separately. We understand that not everyone will be happy when it comes to additional purchases but we assure you that this RC car is totally worth it! When it comes to durability, the SXJJX RC off-road vehicle comes on top of the list. It has been built to make it a sturdy RC car to take all the bumps and even drops. It is equipped with all the quality protection resulting in a super strong off-road truck that effectively survives any obstacles. 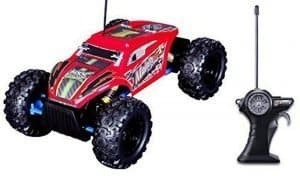 If you are a rough driver and racer then this RC truck is the best for you. It has a screw mechanism and spinner bottom that saves it from unwanted curvy and bumpy roads. With a strong motor, increased climbing force power, and great tires, it can easily run on sandy surface, grassy and marshy land. The controller’s range is up to 100 meters. This truck has a running time of 20 minutes with a charging time of 2 to 3 hours. It comes with a 1/18 scale, a shockproof body with an inside design. All the wheels of the car are individually suspended and the manufacturer has made it flexible. The PVC tires have also been given much emphasis so that it can last longer. This remote control car won’t easily get caught up on any surface whether it’s rocks or mud. As long as traction is present, you need not to worry. The remote control rock is lightweight so you can bring it anywhere with you. The controls are also very easy to use and work with. 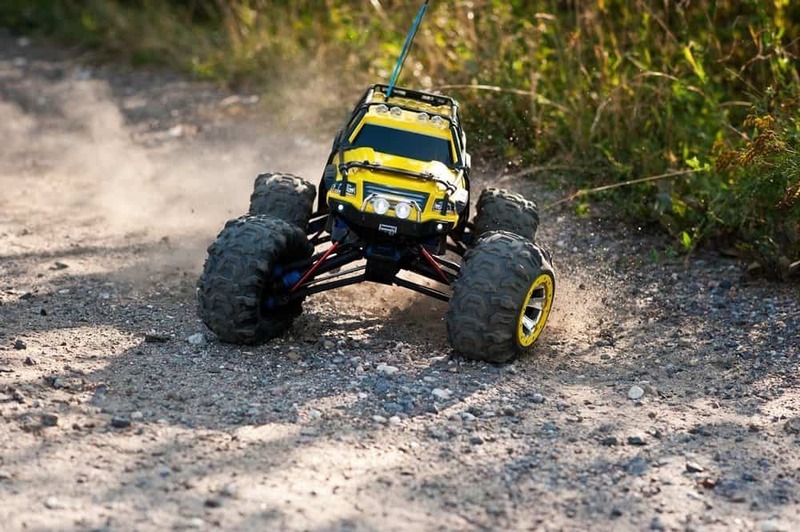 This RC car is more of the adventurous and intense type of RC vehicle. And, it is called a Rock Crawler for a reason. This mini truck boasts 2 motors plus low gear making it perfect for tricky off-road driving. If you are the kind of driver who gets so much amused in jumping off the rocks towards difficult and rugged tracks, then the Maisto Rock Crawler may spark your interest. This is a super durable vehicle with multi-link suspension with impressive appearance and performance. This RC vehicle also will run impressively on most type of surfaces. It boasts a multichannel transmitter and awesome capability on rocky and muddy trails. 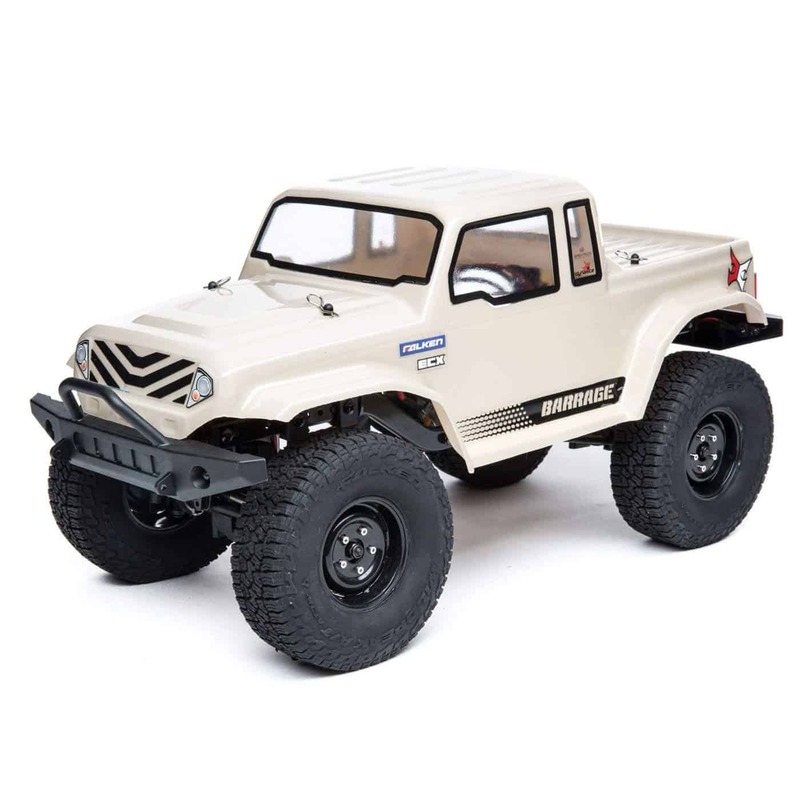 This Rock Crawler is certainly made to help the newbies make a decision whether they aim or desire to be in the RC hobby. The Rock Crawler boasts its TPE tires that ensure a good grip and a tri-channel transmitter will allow three drivers to play, with their respective RC simultaneously. This RC vehicle is extremely a great buy and it is surely a great truck to start out with, especially for anyone on a budget. Although many did not love how it needs two types of batteries and the need to open a chamber in the car when you need to. It is also not that fast, on the other hand, children will be able to use this RC safely because of its average speed. This whole RC kit is best for siblings or friends to enjoy. 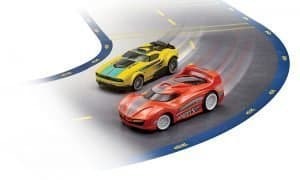 The Hot Wheels Ai Intelligent Race System Starter Kit is amazingly built for two. It is a high-tech version of the classic Hot Wheels cars. The race system comes with a complete intelligent race track which is a very unique feature. Many people will be excited to find how this track actually helps your cars “stick” to it and stay inside the track. It comes in twenty pieces which allow for forty configurations. Don’t worry because you can still use these cars without the track in case you want to go off-road or just got too lazy to set the track up. The kit comes with two cars and controllers with a smart track. It is expandable through an additional track and car sets. The RC cars in this kit do not have a proper scale about the size and it comes with a speed of 180 mph. Due to the high-tech nature of this one, you will get multiple gameplay modes and will have to contend with virtual hazards. You can launch those at your opponent but will need to deal with them as well. Also, If you don’t have a friend to play with or alone at the moment, the artificial intelligence will take over and race against you so you can still have all the fun you want. This remote control car is very tiny that it can fit on top of your hand, but don’t be fooled by its small size. This buggy, Baja, is also packed with enough power and speed to compete with the standard-size RC cars. The little guy is a 2 wheel drive buggy, with a composite chassis. It comes with a TF60 transmitter built-in with its own battery. Steering-wise, this remote control car is very easy to work with under most circumstances. Although some may have issues because of its super speed, especially for the beginners. The buggy is carried by foam tires, there might be a lot of sliding on floors especially hardwood and tiles. Try to drive this little car on pavements and asphalt and you will surely have fun! Also, when driving this small but terrible Baja, always turn away from heavy carpets and dirt. 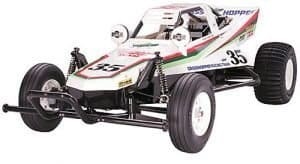 There isn’t a lot with regards to the suspension system in this RC vehicle, so it is best to stay on solid surfaces for the whole drive this mini buggy. This little guy doesn’t work well with huge bumps and with size so small. Many RC hobbyists love how this car is super easy to bring and be taken everywhere, letting you play with it anytime you want. This mini buggy takes somewhere only around 20 to 30 minutes to charge, which is not much of a long time. Its playing time is also quite a bit short which is only 10 to 15 minutes. It would be a nice idea to keep extra batteries with you. This cool trail hunter is one of the best sellers on Amazon. It boasts dual motors and two-mode technology. These features make this Danchee Trail Hunter a great and awesome rock crawling truck. For a quite affordable price, this gives you such impressive features and reliable durability. This is a great buy and a good deal, we assure you. It is a 4 wheel drive with a great front and back suspensions. Its remote control allows up to twenty drivers to play within a nearby distance experiencing no interference at all! To start running this bad boy, you will need 6AA batteries for this RC truck and 4AA for the controller. This RC truck is created with a scale of 1/12 and can totally go off-road. Its built quality is so good that the user will get to enjoy a realistic racing experience. 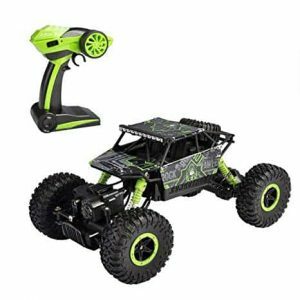 This extreme RC vehicle provides impressive steering and awesome throttle control so it is super easy to handle. It also has smooth power and great traction even under extreme conditions. It boasts hill-braking mode eventually adding a unique and great effect to the machinery. When you activate this mode, it immediately applies to brake whenever you let go of the throttle. Being in this mode helps the driver stay in control at slow speeds on challenging trails and driving on difficult tracks. The Trail Hunter does not hold so much speed, so if you are more of a rock crawler or adventurer and not looking for something to race with, this will be great for you. The Tozo RC car is built with a full scale of 1/18 that does not only look good but performs great as well. This car is best used off-road and can run on many types of terrain such as mud, snow, sidewalk, grass, and so on. This tough-looking RC car is equipped with current overload protection to help extend the life and protect the motor. It boasts a 4-wheel independent suspension system, which gives each wheel a high resilience to help create a steadier drive and impressive damping effect. Many enthusiasts love its suspension shockproof system and an explosion-proof PVC shell, that makes it super sturdy plus the Hi-Q rubber wheels. These great wheels give an anti-skid and perfect driving experience. It is strong, durable, and super affordable for optimum customer satisfaction. 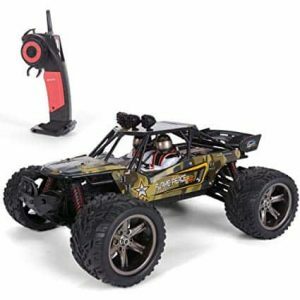 The control range of this RC car reaches up to 100 meters supported by the highly reliable 2.4GHz radio technology. It goes with a steady drive that is super easy to handle and work with. This RC car also has a very powerful motor that can support speeds over 32 mph. This feature makes it one of the fastest RC cars at an affordable price. The battery of this RC is only good for around 15 minutes of hard driving. Some users do not really love how The non-wheel parts of the car are made from plastic, making it look a bit flimsy. But with proper care and precaution, this RC car will most likely last long. The material and build of the RC car should be durable and well-finished. There should be no uneven surfaces or noticeable defect on the paint and design. The design should also be appropriate to the hobbyists’ taste and liking. Some may want a design that looks unique and some may want to get the standard-looking ones. Whichever you choose, there will be a design that will suit you best. There are a few types of remote-controlled cars and it has been mentioned in the previous article. The type of RC car is also an important consideration since the one you will choose must be appropriate for what type of track where you will most likely run and use your RC car in. Also according to the need, terrain capacities should be considered and chosen wisely. Always choose the appropriate type for your terrain. Bumps and drops are inevitable when it comes to driving your RC car. That is why the structure of the RC you will choose should be durable and strong. With whatever terrain or track you choose, your RC car will always be exposed to accidents and obstacles. So it is important that it will totally be durable and strong enough to handle hits and bumps. RC cars to be used and handled by kids should be extra durable. The highest speed of the particular RC car should be considered. If you drive RC cars only for leisure, getting a very speedy one is not necessary. Also, the beginners don’t usually need one with much speed. Faster RC cars tend to be more expensive too. But those who get RC cars for race need much speed to keep up during the race. Like most items, the value of RC cars and even other toys depend on how famous and known the brand is. Most hobbyists particularly consider the talent and skill of manufacturers. If you’re going to buy an RC car from a very famous brand or company then it will cost you quite a few more bucks. The reason behind the high price of some RC cars are the expensive and long-lasting parts used in manufacturing. Both playing and charging time is very important. About 15 to 20 minutes of playing time are enough even for an RC car race. Usually, a full-time charging of RC car is 2-3 hours. In maximum models, the playing time you will get is around 20 minutes. Always choose the battery life and charging time of the RC car model you choose that will suit your preferences best. Try not to go with the cheapest of offers on the market. Because cheaper value means low standard parts. You won’t want that to happen. Choose one that is a great value for your money. If you are following a strict budget then buy the one with 2WD, because 4WD is a little more expensive. 4WD is more expensive because its handling is way better than 2WD. Even when you are looking for a remote control car on a tight budget, your established criteria and considerations must be achieved at an ideal or satisfactory level. Always give importance when it comes to size. Ideally, the scale for indoors is at about 1:10. If you like to have an RC that is quick and easy that can take on small trails, you might want to reach for smaller ones. If you plan to get a car for an adventure up on dirt, climbing, and dirt adventure, anything scaled 1:10 and above would be totally great. Getting RC cars with famous brands is nice but it is purely optional. Getting RC cars from companies with good customer service as well as great quality build parts and functionality is also important. Always choose the RC car that will best suit your taste and preferences. Also, get the one that you think will make you happy and let you have all the fun that you need. Take some advice from other RC hobbyists and friends who have bought a few RC cars already. It is also super important to decide on whether you want o get an RTR or a car kit. Most beginners would prefer the RTR cars. 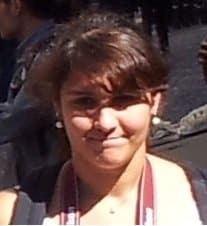 They are purchased as a complete package without the need to assemble them. With RTRs, you get to skip the mechanical or assembly process. If you got those electric RTR, all you have to do is power up the battery through charging, start and go. When it comes to nitro-powered RTRs, you must place in AA batteries inside the car and remote controller, then fuel up the vehicle and drive. They are really great for people who want to skip the added task of assembling the car. RTRs are also great for kids or newbies who don’t have the abilities and time to assemble an RC vehicle. RC car kits, diversely, are car parts and fixtures. These are really great for enthusiasts who enjoy and gets satisfied with building and putting effort into toys. There are also hobbyists who give importance when it comes to being knowledgeable when it comes to the interiors of the car. Assembling an RC car is also considered to be a great bonding time with friends or family. If you’re a first-timer when it comes to kits, worry not since they come with a manual to guide you during the process. The most common building time takes about an hour up to six, depends on the person’s skill and keen observation throughout the assembling process. What are other considerations when purchasing a remote control vehicle? The way you would want to use your RC will carry a significant impact on the other traits that you will want for it. For instance, if you will be driving the RCV on any track, you may want to examine its durability and resistance to crash. 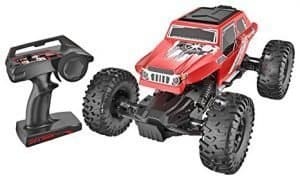 A few other vehicles are stronger and a lot sturdier than some, so if you want your RC car to survive, consider buying a sturdy and durable RC vehicle. What batteries do remote control vehicles’ use? Different brands operate with different battery types too. However, the commonly used ones include 9V and AA. A few RCs also operate with nitro motors. Controllers need the batteries while the engine might need fuels or batteries. Can two similar remote control vehicles be used simultaneously (with separate controllers)? The frequencies of the remote controls matter. So, if you’re buying two similar RCs, check the frequency of each controller. Usually, RC manufacturers feature numerous frequencies for each controller and car so it will not become a problem. It will always be a great idea to check before purchasing. Can RC cars handle heights and jumps? This will totally depend on the RC type that you will purchase. Off-road RC cars will be more appropriate when it comes to exhibitions like jumps. If you get an RC equipped with suspension shocks, it will be most likely be able to handle heights and jumps. Will I be able to design and build my own personal RC? Surely you can! If you are a fan of designing mini vehicles, there are a couple of hobbyists who works great when it comes to customizing RC cars. But if you are a newbie and still don’t have much time build and create, choosing RTR or ready-made cars will be a much better option. Can my RC run on the beach or sand? You can absolutely use your RC 0n the beach, but of course with discretion and proper aftercare. Sand may get inside the different parts of your RC and will possibly cause a great deal of wear and tear. Anyone using their RC on the beach may risk their RCVs to damage and may reduce lifespan.